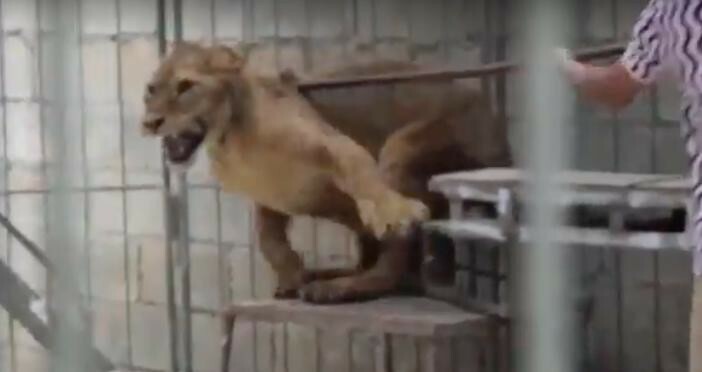 A recent undercover video shows the startling depths of despair many animals face in some of China's zoos. In the shocking footage, lions, tigers, bears and monkeys can be seen being beaten during training exercises. When not performing, they're chained or locked up in tiny cages, with barely any room to move around. One heartbreaking shot shows a young lion cub, barely a month old, cowering on the ground in front of the camera. He appears to be weak and emaciated, and can barely move, but growls at the camera in fright when any humans get too near. 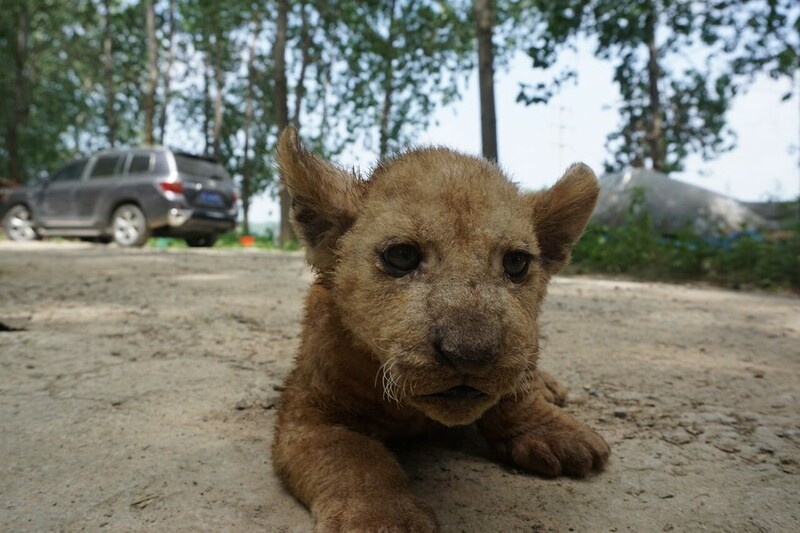 "One circus owner placed the lion cub … on the ground," PETAdetailed in a report. 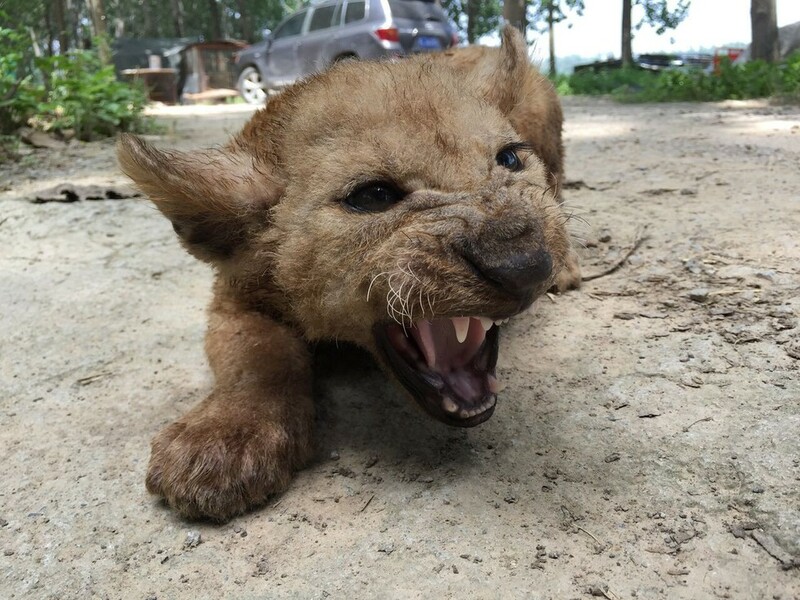 "The cub was trembling and filthy and appeared to be terrified." It's unclear what "training" the cub has received so far, but it's apparent he's already learned to fear humans. 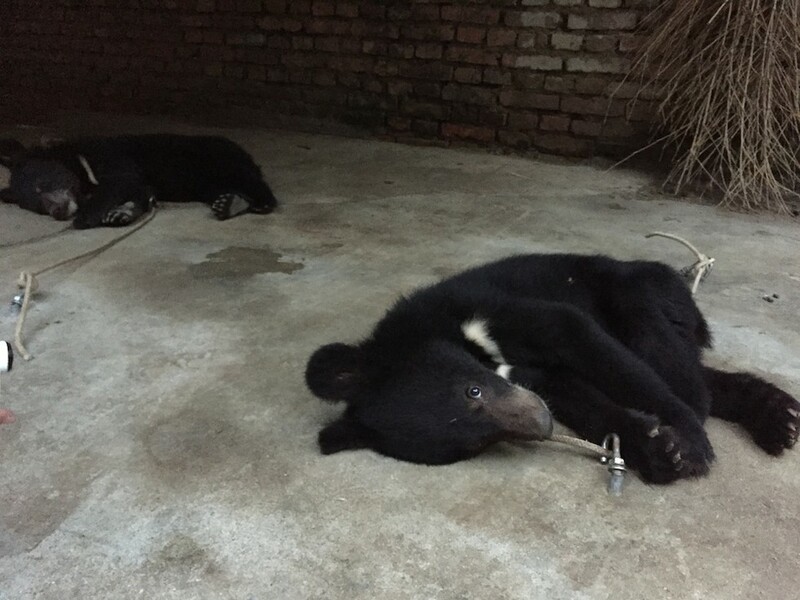 The footage and a coinciding report were compiled over the course of last year at 10 different circuses and training camps in Suzhou, a city that's home to roughly 300 circuses total. The larger tiger and lions didn't fare any better. Kept in tiny cages for most of their lives, they're let out only to be trained to perform inane tricks like balancing on balls. If they fail to perform or try to fight back, they're beaten. At one point, the investigator reported, one of the owners yelled at a roaring tiger, "Be careful or I'll beat the hell out of you!" The tigers began their torturous training early, and, as in many circuses across the world, were snatched from their captive mothers at just a few days old to be raised by humans. 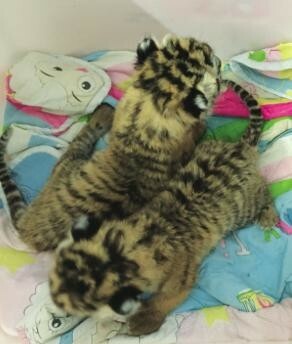 "One circus owner showed the investigator two cubs who were approximately 2 weeks old," the report said. "They were being kept in a plastic storage bin in a bedroom at the owner's home. Dogs purchased online were used as surrogate mothers to provide them with milk." When they are older, they're kept in cages so small that, according to the report, some of them can't even stand up straight without hitting their heads. Many had teeth problems. "One circus owner told the investigator that the tigers also jump through flaming hoops, and another admitted that children and adults are allowed to pose with them, 'riding' on their backs," PETA reported. 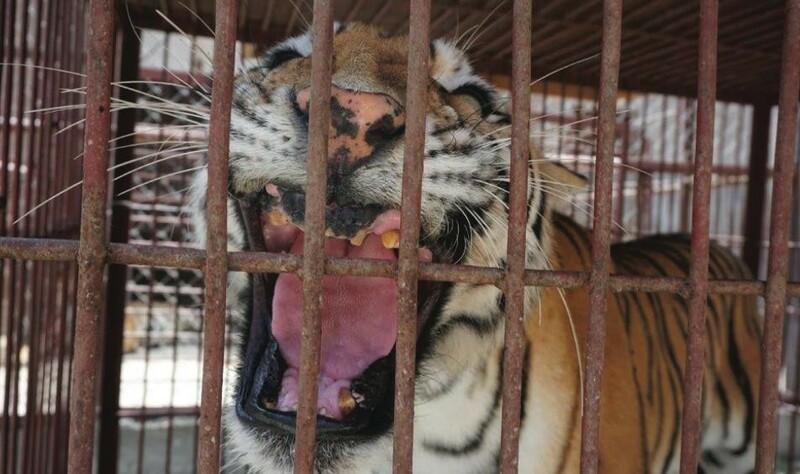 "And one circus owner told the investigator that sometimes tigers' teeth are pulled." Only one of the 10 facilities investigated allowed them access to the indoors, despite the heat, and none allowed them access to a pool, which is necessary for the welfare of the water-loving cats. Many of the circuses didn't have the necessary permits to keep the tigers, which are protected under Chinese law, but did so anyway, PETA reported. When the tigers grow too old to perform, they're sent to zoos or — a common practice in parts of Asia — killed to bemade into tiger bone wine, a treatment in traditional medicine. 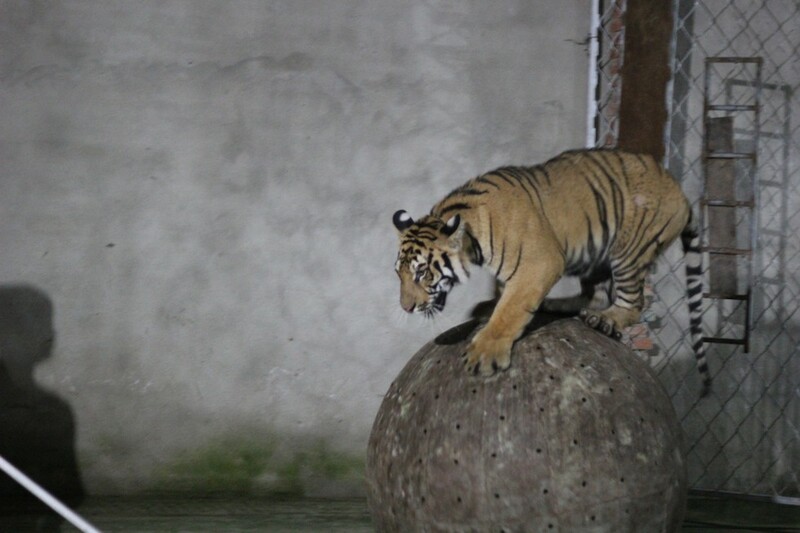 One employee said he made the wine — and presumably killed the tigers — at home. Lions face many of the same abuses as the tigers. 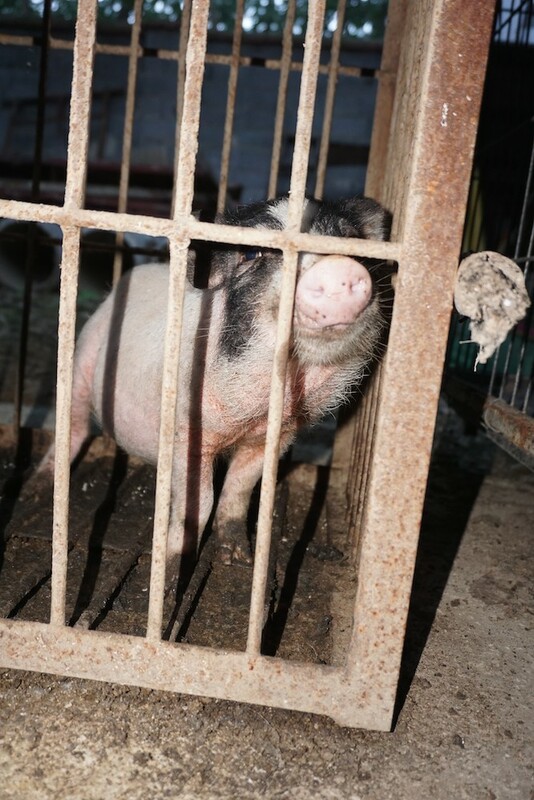 They're frightened into performing through the constant threats of beating, and, when not in use, are locked up in cramped and empty cages where they spend most of their time. 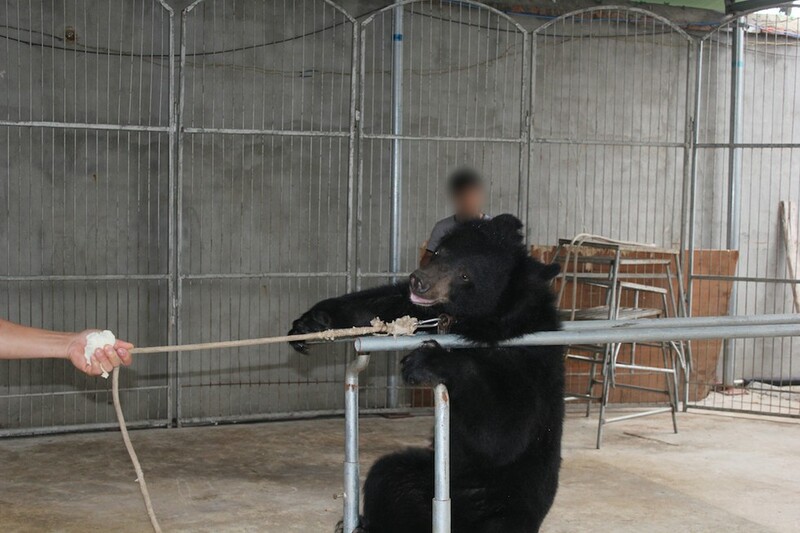 Another sad clip details how circus bears are trained to stand upright. 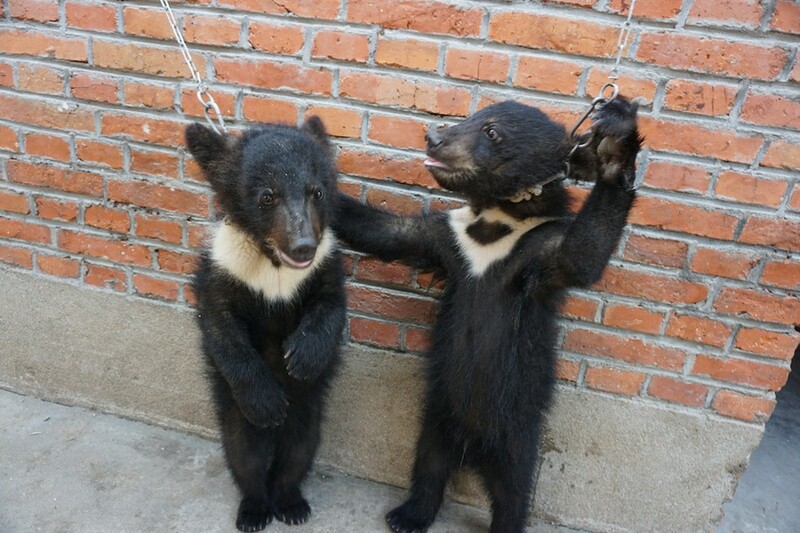 Two young bear cub siblings are chained by their necks to a high wall, with a collar running around their necks. Though standing upright is painful and unnatural for the bears for more than a few moments, the chains are so short that the baby bears learn they have to stand up or risk hanging themselves. In subsequent shots, trainers beat the bears with sticks as they try to perform unnatural tricks like balancing on see-saws or standing on their paws. In one incident, a 1-year-old cub was forced to walk on his hind legs and hula-hoop. He was crying throughout the stunt, but the trainer only responded by beating him. The investigator also witnessed bears being kicked and choked, and crying as they tried to relieve the pain of the tight collars around their necks. Some of the bears had abrasions or patches of furless skin, according to the report. 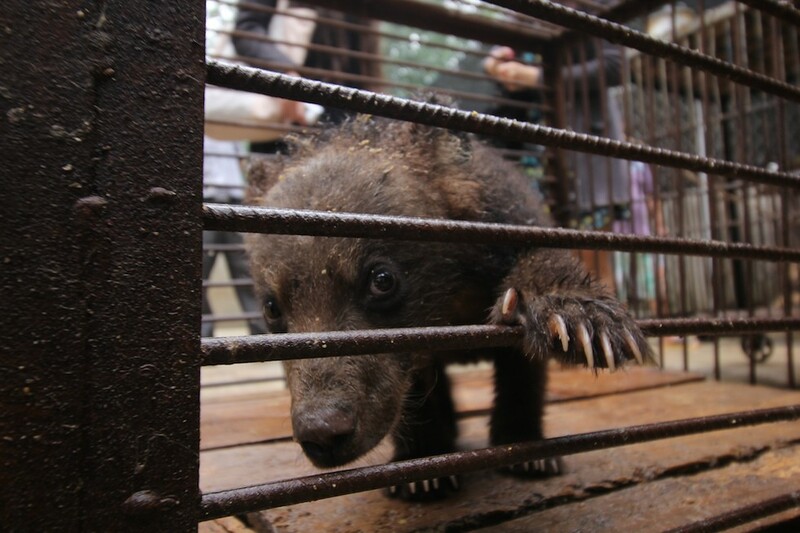 During off-hours, the cubs are kept in tiny cages, though they paw at the bars to escape. They perform stereotypic behaviors like pacing and banging on the bars to cope with the stress of captivity. They often went without food or water, or even shade. Having been taken away from their mothers at just a few months old, the young animals can be heard crying piteously. The monkeys were kept in similar conditions, chained by their necks in cages just a foot or two wide, and can be seen rattling the cages and literally bouncing off the walls in their panicked desire to escape. 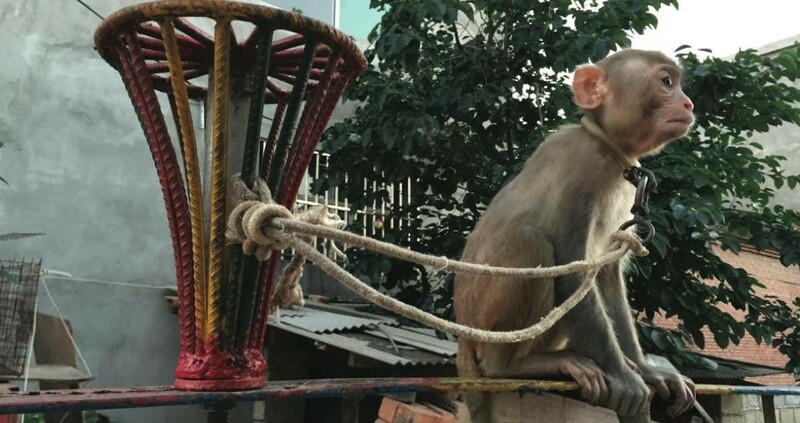 One of the monkeys was also recorded desperately trying to escape as her trainer held her chained by the neck, nearly choking herself as she tried to flee despite the trainer's repeated blows. Their training often involved frightening and dangerous tricks, and the animals were punished if they failed to perform well. 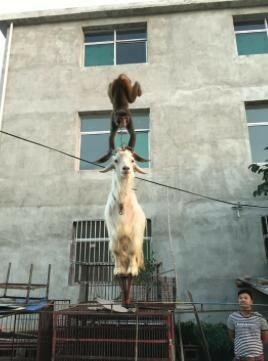 "A monkey, named Lulu by the investigator, was chained to a goat's horns and forced to do handstands while the goat climbed a ladder and stood on a vase balanced on a high beam," the report reads. 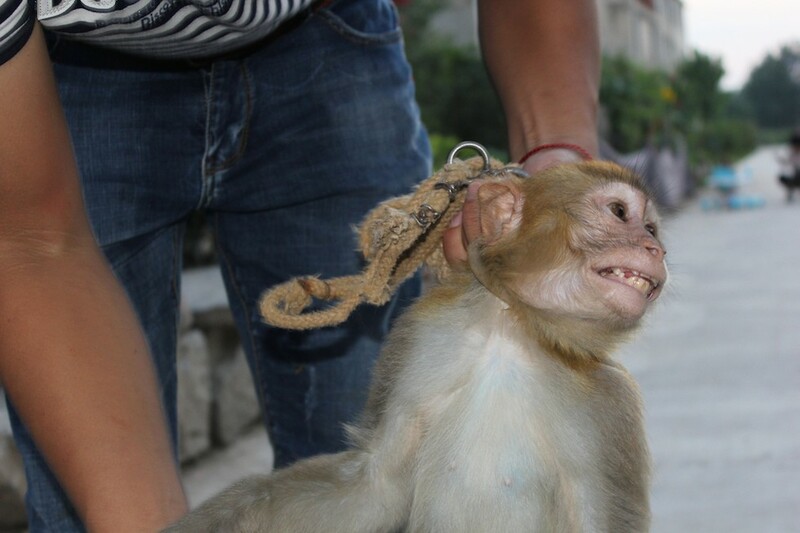 "As Lulu struggled to keep his balance, a handler repeatedly jabbed him with a metal pole. After the performance, the trainer dragged him by the chain attached to his neck and flung him into a cage." 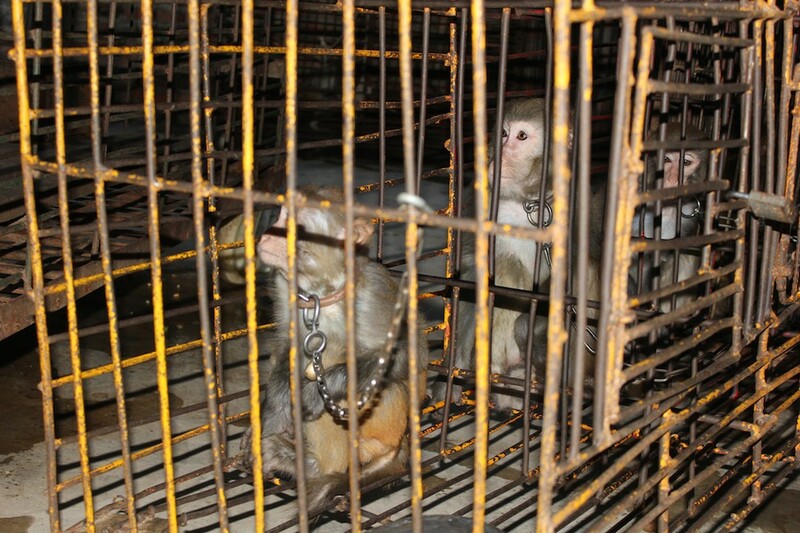 Like the other animals, the monkeys were severely neglected in between training sessions. "They have no choice but to eat, drink, sleep, defecate, and urinate all in one place," the report said. "The investigator also found monkeys kept in cramped travel crates, even though they were going to be stationary for months. Water bowls were empty. Some monkeys had skin abrasions." 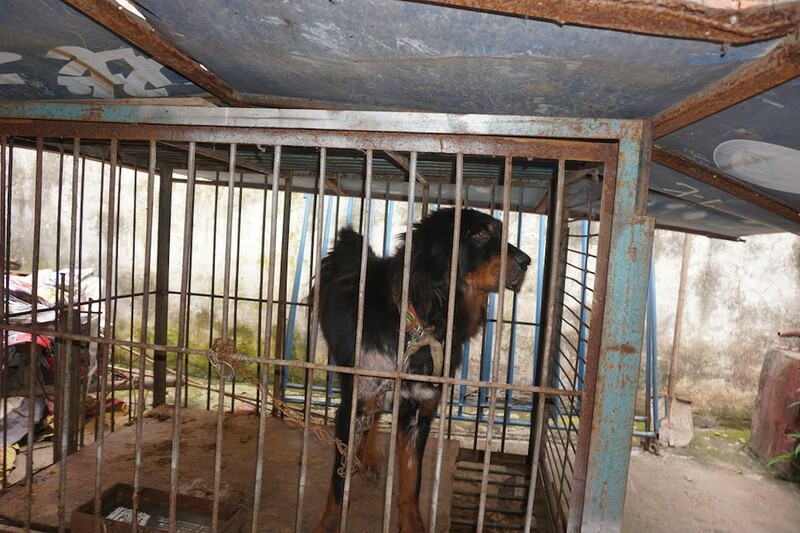 The investigator also saw many domestic animals at the circuses, such as goats, pigs and even dogs. They were all kept in tragically small cages. One 12-year-old dog who was deemed too old to perform had been locked up in a small crate, presumably to die there. 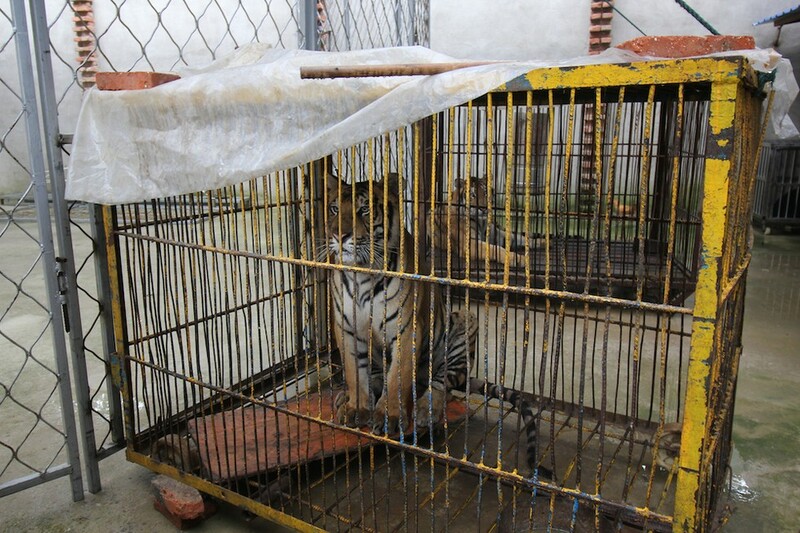 "[He] was living in this cage 24 hours a day, right across from an old tiger who was also caged," the report said. "He was never let out. The investigator noted that he appeared to have skin lesions on his right front leg." 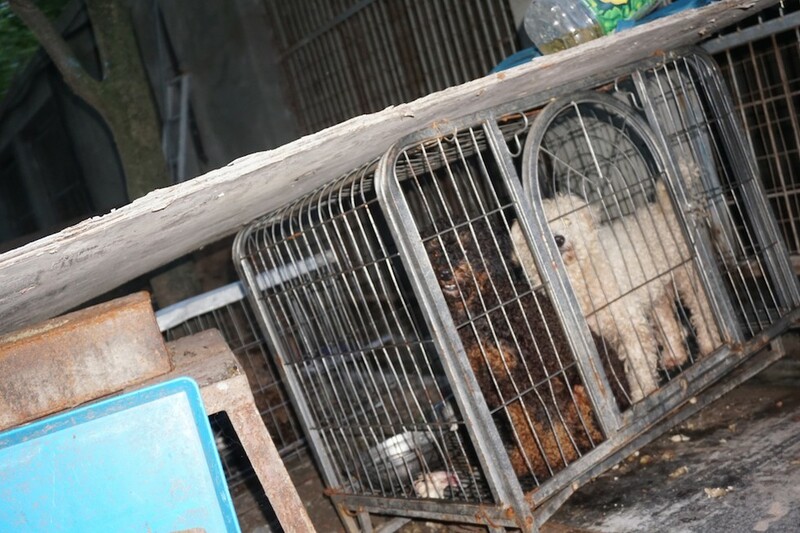 Like many of the other animals, the dogs were filthy and sad, and were kicked and beaten. Whatever the species, the circus animals seemed to be tied together by a common thread of abuse and neglect. 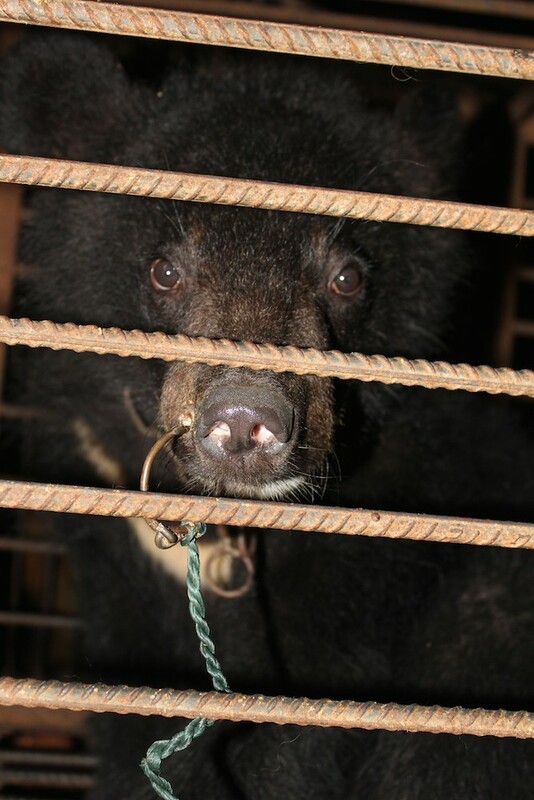 They were beaten during training, and were packed away like equipment in tiny, cramped cages when not needed. 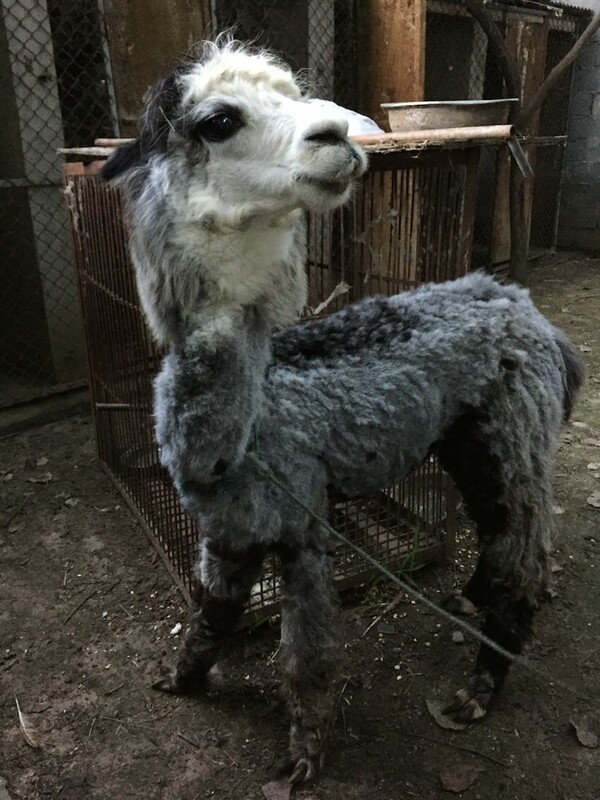 "Numerous animals exhibited signs of severe distress, including repetitive pacing, rocking and head-bobbing, which are all consistent with constant confinement, deprivation, neglect, fear and pain," PETA reported. "Many were whipped, hit with sticks and poles, kicked, smacked and jabbed, and others were dragged by their necks and taunted with food that was just out of reach until they performed." "In addition, every circus inspected was seriously deficient in the areas of food, drinking water, housing, veterinary care, and environmental enrichment," the report said. 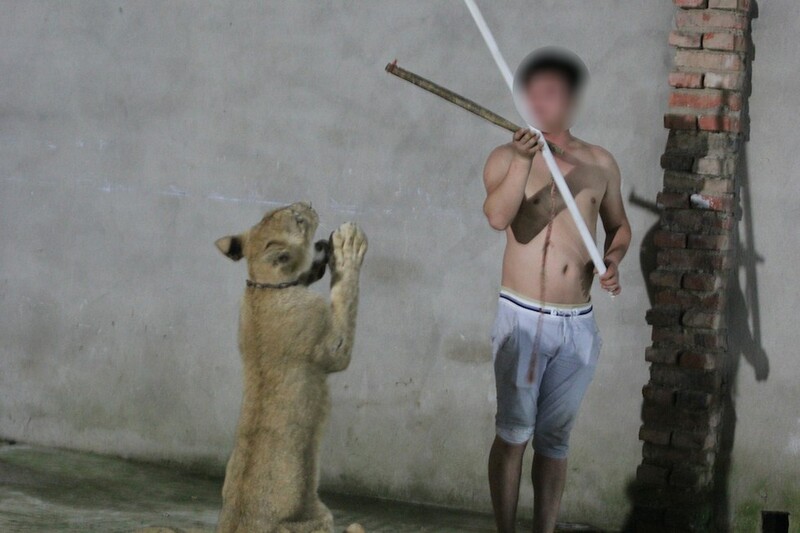 The harsh photos and video should be a reminder to tourists to stay away from animal attractions in foreign countries, as many of them use similar methods to force animals to perform. But it's also a striking reminder of what animals face in places like the U.S. 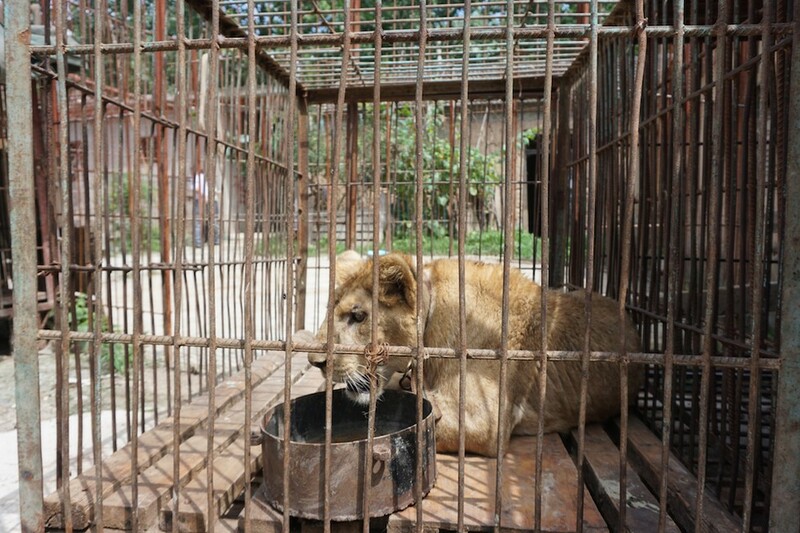 While the conditions might be better, Ringling Bros. and other circuses and roadside zoos train big cats and other animals to perform exactly the same tricks that the animals at the Chinese circuses are forced to learn — and it's virtually impossible to teach predators like lions and tigers to perform without the threat of violence. "In order to train a cat for a circus act like that ... it has to be done with fear and pain," Susan Bass, PR director for the Florida-basedBig Cat Rescue, told The Dodo back in December. "They're either going to use whips … or they sometimes use tasers electrocuting the cats, and it's all fear-based." Big Cat Rescue has saved several large cats from circuses and similar facilities in the U.S., and many arrive with physical or emotional damage from the "training" methods they endured. "Just look at a domestic cat," Bass explained. "They're going to do what they want to do when they're going to do it. Anytime you want a cat to be 'on' — in a 'show must go on' kind of thing — there's no way you're going to get that cat to do what you want them to do without that type of fear and training." Just last month, Bowmanville Zoo in Canada shut its doors for goodafter co-owner Michael Hackenberger, who also worked as a Hollywood animal trainer for films like "Life of Pi," was filmed repeatedly whipping a tiger during training, and discussing how he liked to beat wolves. 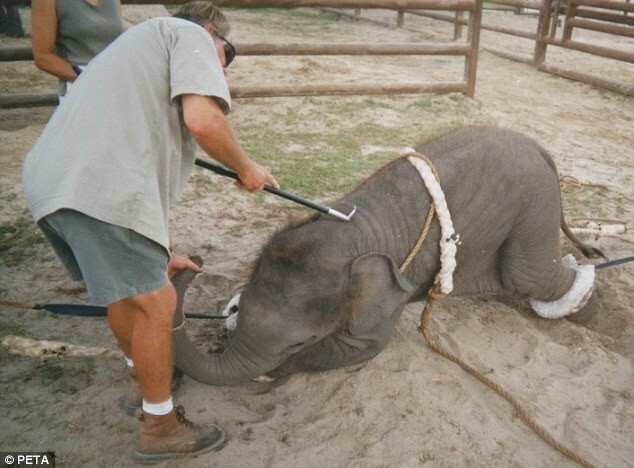 Ringling Bros. also used similarly aggressive methods to train its baby elephants to perform. While the circus has since stopped using its elephants on its touring circus, it still makes frequent use of lions, tigers and other animals. While the animals featured in the China video have little hope of the law coming to their aid, their greatest chance at freedom is if people stop patronizing circuses and any organizations that make animals perform. 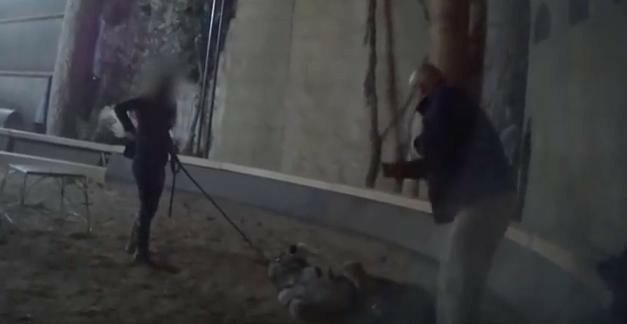 "The only way to get wild animals to do meaningless, unnatural and even frightening tricks like these is by hurting them, and threatening them with even more pain," PETA says in the video. Want to help? You can click here to sign a pledge promising to stay away from attractions that feature performing animals. 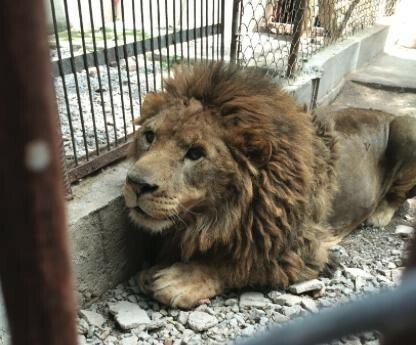 If you'd like to support lions, tigers, bears and other animals who have been saved from similar conditions in the U.S., you can make a donation to the Performing Animal Welfare Society. I you want an impressive performance, go to a circus that only performed by human. They themselves choose to perform, paid, own interest, own risk and not exploit unfairly/ cruelly.